Everest View trek gives you the possibility to satisfy a desire of seeing the very brilliant view of Everest and a close study Sherpa way of living. Everest view trekking is appropriate for amateur’s trekkers who have a short time to spend and unique preference to see the world’s highest mountain. The trek to the Base camp of the Everest has emerged as one of the most popular trekking routes in Nepal. Most of the people in this vicinity are Sherpa’s. Majestic mountains, the excessive mountain villages, the isolated monasteries, Namche Bazar (the gateway of the Everest region), Tyangboche monastery beneath are one-of-a-kind. 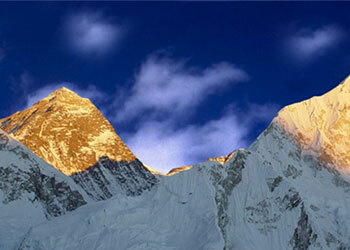 Pinnacle of close Amadablam and Everest are the fundamental enchantment of this region. This trek will amaze you with the stunning view of four peaks (Mt. Everest-8848m, Lhotse-8516m, Makalu-8463, and Chooyu-8153m) that are above 8000 meters. Additionally, you’ll be astonished by the view of the lovely mountain, “Amadablam (6856)”(The Matterhorn of Khumbu). This trekking will no longer take you to the Base Camp of Everest, however, will provide you the possibility to revel in the ongoing tradition of Sherpa people and the glimpse of the strong Everest. After having a remarkable flight to Lukla, you will input to the Solukhumbu region. Solukhumbu region is well-known for its proximity to the area’s highest mountain and its Sherpa villages and monasteries. The Everest view trek keeps through the lush plant life of Sagarmatha National Park, which falls underneath the natural world heritage site of Nepal declared by UNESCO, with pine forests, rhododendron and an abundance of wildlife to Namche Bazaar (3440m). The trek to Tengboche monastery is called Everest view trek. Tengboche could be exciting for the photographers, as it is one of the beautiful locations to seize the outstanding beauty of Mt. Everest, Amadablam, and their neighboring peaks. Besides, the visit to Syangboche will provide you the stunning view of Everest and perhaps the other Khumbu mountains within the entire Everest region too. In Khumbu, you may be utterly stunned as the perspectives are magical. The attracting element will be the pleasant Sherpa’s, whose hearts are kind. You will consider it for an entire life. The Everest view trek boasts many extra striking and delightful mountains, in addition to a number of the most worthwhile trek. To provide you a check out the coronary heart of the villages of Sherpa humans, their historical way of life and dazzling views of maximum mountains in the world, we provide you an outstanding 11 days trek. Get your luggage packed in your lovely adventure to Nepal Everest region with your essential equipment for the panoramic view of the tallest mountain on the earth. After coming back, you may get enough time to go to the store, discover and loosen up in Kathmandu. Drationu: 11 Days from arrival to departure in Nepal. Trip Snippets: 11 days, 3 night’s hotels, 7 nights Lodges, Breakfast in the city, 3 meals a day ( breakfast, lunch and dinner ) during the trek are included. Early morning we fly from Kathmandu to Lukla via mountain flight of about 40 minutes scenic flight. With clear weather, we get fantastic views of the mountains, including Everest as we enter the deep gorge of the Dudh Kosi valley. You begin your trek from Lukla following a gentle climb up the mountainside on the left bank of the Dudh Koshi River. Along the way, you will have a view of Mt Nupla (5885m) Kusum Kanguru (6367m) and Mount Kwongde Range. We then take an easy walk for about two hours to Phakding village. However, if interested in additional activities we can take a side trip to a nearby monastery. Have some rest time rest strolling around the village for local knowledge. From Phakding the trail follows the Dudh Koshi valley north, meandering through the pines, crossing it twice by small suspension bridges before reaching the village of Monjo, the entrance gate of the Sagarmatha National Park. Beginning with a slight climb to Jhorsalle, the trail passes waterfalls and other culturally and naturally occurring items of interest. Villages are interspersed with magnificent forests of Rhododendron, Magnolia, and fir. Along the way to you will be rewarded with your first glimpse of Kusum Kanguru (6369m) Thamserku (6608m), Everest (8848m) and Nuptse (7879 m). The trail climbs through the forests and bridges until we reach the confluence of the Dudh Koshi and Bhote Koshi rivers. After a final steep ascent of about two hours, we get first sight fist of at Mt. Everest, peering over the Lhotse-Nuptse ridge. A steep climb up to the beautiful village of Namche Bazaar (3440m) will afford you further spectacular views and a comfortable place to spend the second night of the trek. We start our trek with a pleasant walk through the forest with a magnificent view of mountains. We follow a spectacular path that traverses around the hillside high above the Dudh Kosi River. After walking for one hour you will arrive at Phungithanga. The trail climbs past some water-powered prayer wheels and begins a sustained climb through a forest of tall, mature rhododendrons. Look out for musk deer among the trees. The start of the Tengboche (3870m), the village is scattered across a wide, grassy saddle below a crescent-shaped ridge covered by scrub pines and firs. From the viewpoint at the top of the hill, there are awe-inspiring views of distinctive peaks like Amadablam (6856m), standing proud of the massif containing Everest (8848m), Nuptse (7861m), Lhotse (8501m) and inspiring views of Himalayan giants. We visit the Buddhist Monastery at Tengboche, the largest in the Khumbu region. Retrace the journey back to Shanasha, from Shanasha where the trail from Khumjung, Gokyo and to Namche meets. Trekking up for about 2 hours and then leveling off until we reach the village of Khumjung. Heading to Khumjung the largest settlement of Khumbu Valley is one of the oldest and largest Sherpa settlements in the Khumbu region (Everest region). The village is the seat of Khumjung village development committee which includes Khunde, Khumjung, Tyangboche, Pangboche, Pheriche, Dole, Machhermo, Lobuche, Dingboche, Gokyo and some small town, the valley is surrounded by the snowy peaks of Kongde and Thamserku. We can take a take a short hike up to the monastery to view the yeti “scalp” at the Khumjung monastery. It is easy working with absorb the magnificent views of surroundings, after Namche Bazaar the trail descent steeply back to Dudh Koshi River. The trail is easier now as we are losing altitude, and we can enjoy a gentle walk on the trail Jorsalle. We will work though the forest of magnolia, giant firs and rhododendrons with the view of distance snow covered peak before arriving Phakding. Phakding is a crowed place but better for your overnight settlement. Spent your night at one of the good lodges here, enjoying the local tradition and culture. It will be just a 3 hrs easy and gentle trail back to Lukla. The trail drops steeply and runs level through out the day.Enjoying the lush green scenery around and passing through the incredible mountain scenery and local Sherpa village arrival in Lukla. You’ll have time to stroll around the local areas. In the evening you can enjoy a typical Nepalese dinner and cultural show. Day 10 - Flight from Lukla to Kathmandu transfer to your hotel. Day 11 - Farewell Departure, We will drop off you to airport.